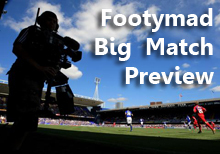 FM Preview: Ebbsfleet United v Forest Green Rovers 29 Mar 2013 - Forest Green Rovers Mad! The most recent encounter between these two sides at Stonebridge Road was just last season, in August 2011, where the two sides shared the spoils courtesy of a 1-1 final scoreline in a (Conference) Premier match. Ebbsfleet United have been playing quite well at home, winning 3, drawing 2, and losing just 1. The goals for column just outweighs the goals against over this period, 9 to 7. Forest Green Rovers have an average recent record on the road, with two wins, two draws, and two defeats. The Rovers's have scored 6 goals in these games, but conceded an alarming 7. Ebbsfleet United are stuck down in the relegation zone of Blue Square (Conference) Premier with a return of just 36 points from their 37 games thus far. Forest Green Rovers lie just outside the playoff positions in the Blue Square (Conference) Premier, picking up 61 from their 39 games so far. Ebbsfleet United Unbeaten in the last 5 home games.